Total Area: 5,098 sq. km. Geography: Kigezi is a mountainous triangular wedge in the South-West corner of Uganda, bordered on the north by the Kingdom of Toro, on the east by Ntungamo and Bushenyi Districts, on the south by the Republic of Rwanda, and on the west by Congo Free State. Covering only 2.2 per cent of Uganda, Kigezi is 2.5 times the size of Monaco. 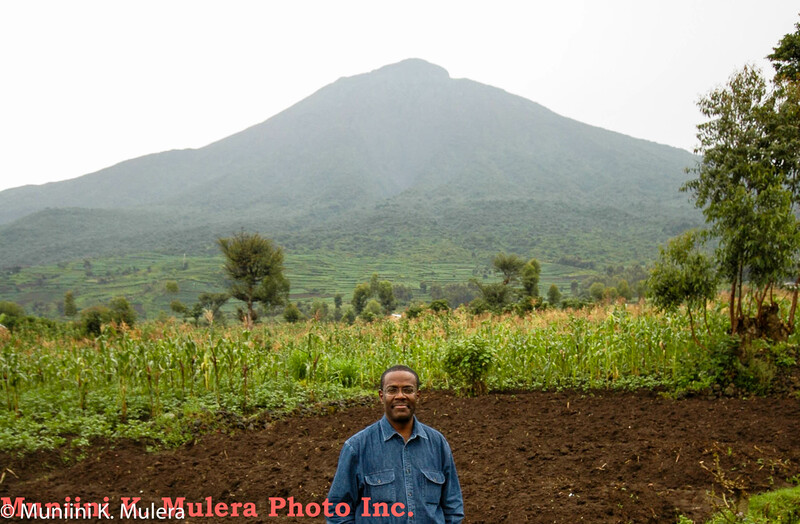 With its rolling terraced hills and mountains, fresh water lakes, and the extinct volcanoes (Muhabura, Sabinio, Mgahinga), Kigezi is a visual replica of Rwanda. For those familiar with Switzerland, that country is the Kigezi of Europe. Fifty years ago, Kigezi had large protected forests at Mgahinga, Echuya, Mafuuga, Kiirima, Omurugano and Imaramagambo. Most of the hillsides had extensive tree cover, mostly of the black wattle variety. There were many small forests in the valleys – in places like Butobere and Kigongi near Kabale, Kangondo in Mparo and Nyekongorere in Maziba. Kigezi had many swamps (marshes) around Lakes Mutanda and Murehe; OmuRubanda south of Orugano and Mafuuga; Bubaare, continuing south through Omuruhita, Rwakaraba, along Kiruruma, then to Kitumba and on to Rubaya. The Kabale swamp continued down through Kyanamira to Maziba. The Muhanga, Rushebeya, Kashambya, Nyarushanje to Kebisooni was one continuous marsh. Rushebeya through Kangondo, Sindi, Ibumba was all swamp. There was also a fair bit of swamp in Nyamweru. Many of these swamps were drained and converted into farms, with catastrophic consequences on the environment, not least among them the water levels of the rivers and streams. The major rivers of Kigezi – Mineera, Kiruruma, Rushoma, Ncwera, Birira, Ishasha and Noozi- are now smaller and continue to be threatened. Even Kigezi’s main lakes -Bunyonyi, Mutanda, Murehe, Rwitanzigye (Edward) and Kanyabaha – may be irreversibly affected in the coming years. A concerted effort by the people of Kigezi and others who care about the environment is urgently needed to attempt to reverse this situation. Capitals: Capitals: Kabale (Kabale District), Kanungu (Kanungu District), Kisoro (Kisoro District), Murore (Rubanda District), Mparo (future Rukiga District), Rukungiri (Rukungiri District). 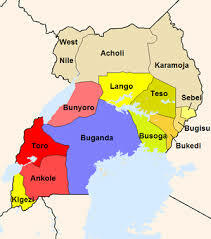 Other towns: Kihiihi, Kambuga, Bugangari, Kebisoni, Kisiizi, Kashambya, Rwamucuucu, Kangondo, Kamuheesi (Kamwezi), Muhanga, Bukinda, Muyumbu, Katuna, Irumba.